These Sweepstakes from Price Chopper, TruMoo, Evan Williams Bourbon, Stryker, and Custom Kids Furniture are the online sweepstakes people are entering right now. Try your luck and enter for a chance to win great prizes like an Apple iPad Mini, the opportunity to walk the Red Carpet with the USA Swimming National Team, an all-expenses paid trip to a 2016 World Series game, a round of golf with Fred Funk and Hal Sutton, and a Kids Mattress Cover & Sheet Set in One. Madden NFL 17 Custom Console Sweepstakes: Enter online at xboxpromotions.com, via your Xbox One Console or via Twitter using #XboxSweepstakes for your chance to score a Madden NFL 17 Custom Console or a NFL Team Themed Custom Xbox One S 500 GB console. Price Chopper wants to know what is your child’s favorite after-school snack. Take a photo of it then share it for a chance to win an iPad mini, awarded in the form of an Apple gift card. Eligibility: Legal U.S. residents who reside in CT, MA, NH, NY, PA & VT and who are 18 years of age or older. End Date: 11:59:59 PM ET on Saturday, September 10, 2016. In August, purchase at least one qualifying TruMoo product then upload a photo of your receipt at TruMooSweeps.com. You could win a trip for four to the Golden Goggle Awards in New York, NY! Eligibility: Legal residents of the United States and the District of Columbia, excluding the state of Colorado, who are at least 18 years of age or older as of date of entry. End Date: 11:59:59 PM ET on August 31, 2016. Limit: One Sweepstakes Entry per person, per day. Evan Williams Bourbon, a Proud Sponsor of Major League Baseball, invites you to enter this Sweepstakes at EvanWilliams.com/WorldSeriesSweeps. One lucky winner and three friends will receive tickets to a game of the 2016 Major League Baseball World Series! Eligibility: Legal residents of the 50 United States and D.C., who are 21 years of age or older at the time of entry. End Date: October 14, 2016, at 11:59:59 a.m. ET. Take the Stryker Challenge at strykerchallenge.com now through November 13 and you could score a trip to Ponte Vedra, Florida for a tour of TPC Sawgrass and the opportunity to play a round of golf with Fred Funk and Hal Sutton! Eligibility: Legal residents of the United States and the US Territories, who are 21 years of age or older. End Date: November 13, 2016 at 11:59 p.m. ET. Limit: One initial Sweepstakes Entry per person + bonus entries. Custom Kids Furniture is offering you the chance to win a twin mattress pad and sheet set in one during this Giveaway ending on September 1st! 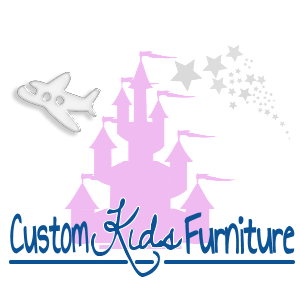 All you have to do is visit Custom Kids Furniture on Facebook and follow @CustomKidsFurniture on Twitter. Eligibility: Legal residents of the United States and the US Territories, who are 18 years of age or older. End Date: September 1, 2016 at 12:00 a.m.